Make your watch purchases at Ashford and save more! 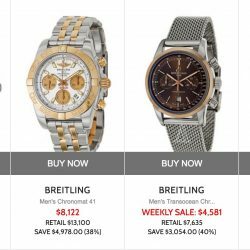 Enjoy 12% off Latest Breitling watches with this coupon code! Valid for a limited time! Make your watch purchases at Ashford and save more! 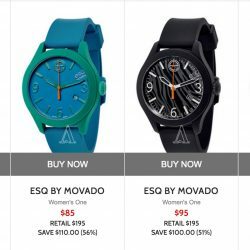 Enjoy 15% off ESQ By Movado Watches with this coupon code! Valid for a limited time! Make your watch purchases at Ashford and save more! 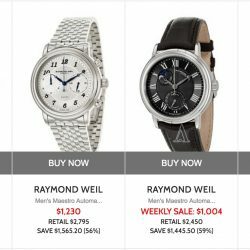 Enjoy 15% off the latest Raymond Weil watches with this coupon code! Valid for a limited time!